Medicare and me. . . .
My middle son reminded me last week that I’ve not posted on this site since April. Thanks, son. I was aware of that fact. (And I don’t recall you taking very kindly to my reminders of what you should do–but, that’s another subject for another day.) I’ve had a bit of writer’s block, I guess. I’m trying to blame that on a milestone I reached in May. That’s right. I am now legally a “senior” with Medicare rights and benefits. Somehow turning 65 does something to one. I don’t recall many other birthdays impressing me too much. Well, there was year 30–that was a big one–I was no longer a “twenty-something” with all the youthful connotations that inspires. That one depressed me for all of about 3 days. But I was really too busy to worry about birthdays 40, or even 50. Finishing my master’s degree in nursing. Career demands and changes. Family issues. Single parenthood and then grandparenthood. But, now, ten years happily into my second marriage, I am no longer the lone adult in the family. Yes, my kids have reached chronological adulthood, but do mothers ever really stop worrying about them and their choices? Even two of my grandchildren have reached legal adulthood. I am very proud of both of them. My handsome 14 year old grandson is rapidly becoming an adult, growing physically and spiritually. And I have a great-granddaughter to brag about. 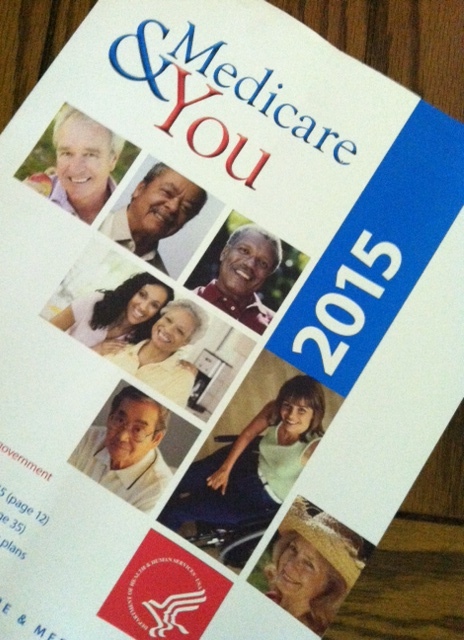 I did not dread the turning 65 milestone and do not resent the Medicare business. I actually bragged about it a bit–it gives me a little leverage since I’m older than most of the medical staff I work with! So, what have I been in such a slump about? I’m trying to figure it out. 1. My time away from my paying job seems more priceless every week. I count the days till I’m off and treasure every moment away from the job. And, face it, sometimes writing is just plain work. 2. The view from my front porch, where a breeze is almost always blowing, is irresistible. 3. There is always one more new recipe to try, many of my own imagination. What about a little citrus/dill/butter sauce for that salmon? 4. I am hooked on The Whispers, The Astronaut Wives Club, and Blue Bloods and can hardly wait for Downton Abbey and Cedar Cove to begin their new seasons. 5. I have three unread books on my nightstand. 6. I have twelve (yes, 12!) unread books on my Kindle. 7. I have one-click shopping on Amazon (therefore, #5 and #6 above). 8. Pedicures and visits to the hairdresser have become necessities, not luxuries. Have to camouflage that gray hair and reaching my toenails with a steady hand is a lot harder than it used to be! 9. I love my aging mother and want her to be cared for and happy. 10. My husband is my best friend and just sitting and holding hands with him makes me VERY happy. So, what do I do with all this information? Beats me! I keep reminding myself that, yes, I do want to be a success as a writer. And, yes, I understand that in this day and time it’s all about “platform” and visibility and followers and presence. But somehow I found that I need something more to keep me going. And now I have found that “something”. Almost everyday someone in my world of acquaintances compliments the first book or asks how the second one is coming. Thank you to all who inspire me and remind me to keep plodding along in this venture. And, yes, thank you, son, for noticing my blog absence. I am flattered that you follow my blog presence! Writing has been a part of my whole life–life as a student, life as a healthcare professional, life as a teacher, life as a manager and administrator in a healthcare system. I grew up writing letters–yes, communicating via postal service! I have a trunk full of prayer journals. Perhaps God knew that I needed 65 years of life experience and numerous faith challenges in order to fulfill his purpose for me at this time in my life. Perhaps my time is coming. Or, perhaps, my time is now. Please, Lord, show me the path to take, give me the words to write, and strengthen my focus, discipline, and desire. And may it all serve your purpose and plan. Next post“Freely Given”, a year later. . . .
Oh, the decisions, I do, I make some awful, terrible, pathetic decisions. And seldom do I consider anyone but myself when I make them. But other times I decide to take a minute or two to learn something from my Mommy and you and I have had many one on one lessons courtesy of this blog. I have also found myself on my knees wailing for God to forgive me and in the floor laughing at something that probably wasn’t even meant to be funny. I will never regret the decision I just made to write this so you would know without a doubt that your writing moves me. It leads me. It touches me and inspires me. I wish I was more like you but I’ll take what I am and do what I can. I love you, I miss you and I am so SO proud to be yours. Sleep well, I am safe till morning. Feeling yo9ur pain. When I hit that ‘milestone’ it seemed that the social security personnel immediately shouted it from the rooftops. Within a few days, my mailbox was stuffed, daily, with offers for hoverrounds, walk-in bathtubs, large print publications, computers with magnifying screens, burial insurance,and any other thing related to being a senior citizen. The upside was that those things made great bonfires!